The week ahead: after Friday’s euphoria, Dover-Calais operator MyFerryLink faces another difficult day tomorrow. Will Eurotunnel still sell its ships? Also, we’re off on another ambitious road trip. More heavy traffic for Whitsun weekend. Gumball 3000 sets off from Stockholm, as classic racers take over Spa-Francorchamps. Plus, overnight maintenance at the Mont Blanc Tunnel. Events: the Spa Classic – from Tour Auto organiser Peter Auto – takes over the Spa-Francorchamps circuit in Belgium from Friday to Sunday (22-24 May). More than 80 prototypes from 1966-79 take part in a series of events including night races. On Saturday (23 May) the famous Gumball 3000 Rally starts in Stockholm before heading to Amsterdam – via Oslo and Copenhagen – for Tuesday evening. 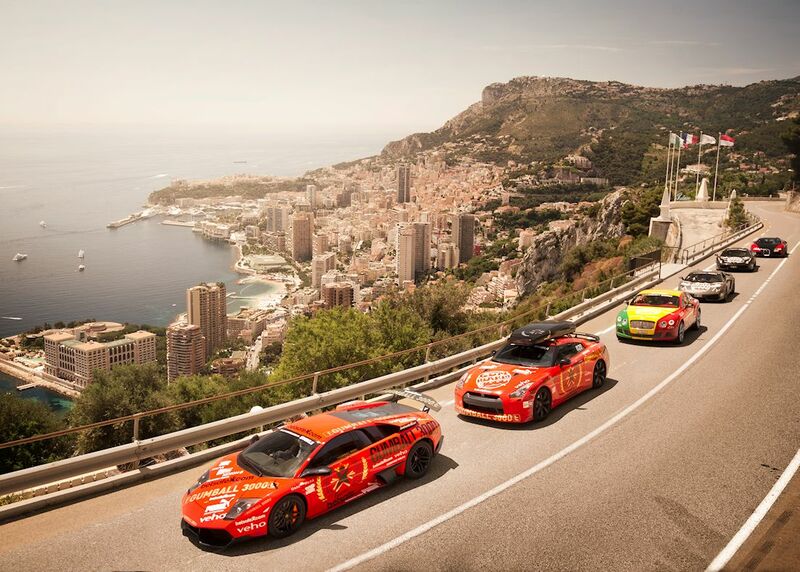 Photo: Gumball 3000 in Monaco, Oskar Bakke. Some very hard thinking must be going on at Eurotunnel this weekend. Earlier this year, as the interminable legal battle looked to have no end in sight, the Channel Tunnel operator made good on its promise to cut its losses and sell the ferries it leases to MyFerryLink. The deadline for bids on the three ships is midnight tomorrow (Monday 18 May). Coincidentally it’s just three days after the Court of Appeal’s surprise decision allowing MyFerryLink to stay in business. In the cold light of day, has that judgement really changed anything? After all it wasn’t Eurotunnel who appealed but SCOP, MyFerryLink’s operating company. The Competition and Markets Authority (CMA) may well want to slink away but DFDS says it will go to the High Court. With more legal action in prospect, the urge for Eurotunnel to cut and run must be stronger than ever. But will it dare pull the plug on 600 jobs after Friday’s stunning success? A handsome offer for the ships, new jobs for MyFerryLink’s loyal employees – and the likelihood of good business on a ‘significantly improved’ English Channel (in the words of DFDS) – could see everyone happy yet. Unfortunately we are unlikely to be around to find out what happens. On Thursday we’re off on another trip, this one the most ambitious yet. We meet up in Berlin on Friday then head south and east for two weeks to check out the Tatras, Carpathians and hopefully the Black Sea. Meanwhile, Friday sees the return of heavy traffic ahead of the Whitsun holiday. Ominously, ‘very heavy congestion’ is expected in Germany from the afternoon. France – Paris in particular – will be busy too. Switzerland and Austria see the worst of it on Saturday. Everyone heads home again on Monday. Note: Mont Blanc Tunnel. Overnight Monday, Tuesday and Wednesday (18-20 May) there will be alternating one-way traffic during maintenance.